In preparation for the upcoming holiday season I’ve been working on some new products! Since I’ll be selling at a holiday market in New York I’ve focused on making a few NY themed items. 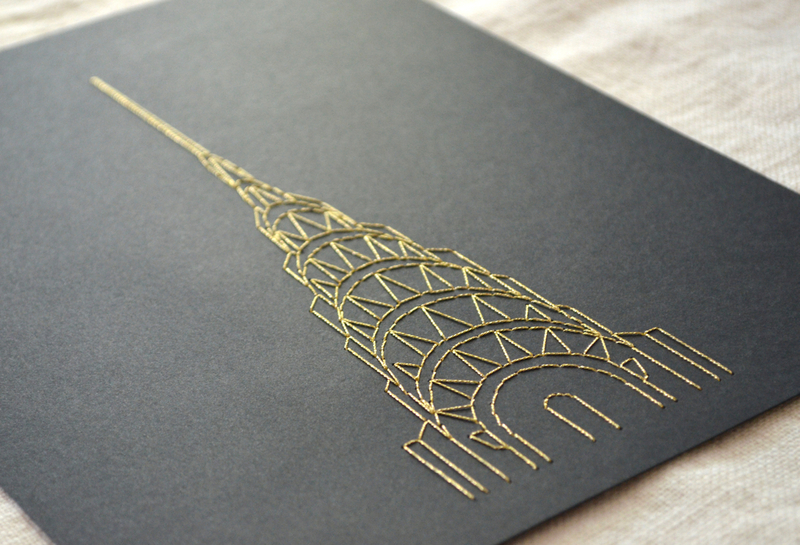 First, above, an embroidery in gold thread of the iconic Chrysler building, my favorite architecture in the city. 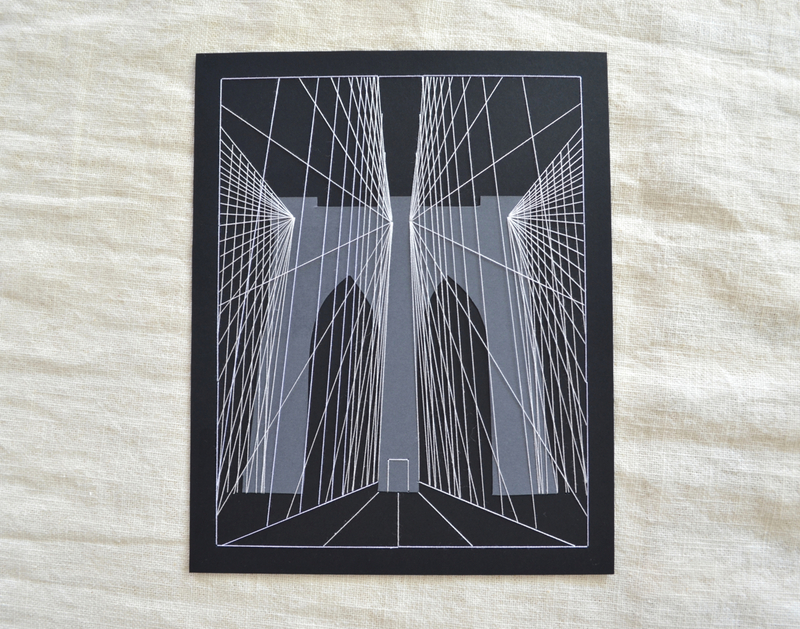 Next up, an embroidery of the Brooklyn Bridge, with special focus on the interweaving cables of the bridge. It’s the first mixed media work I’ve created. 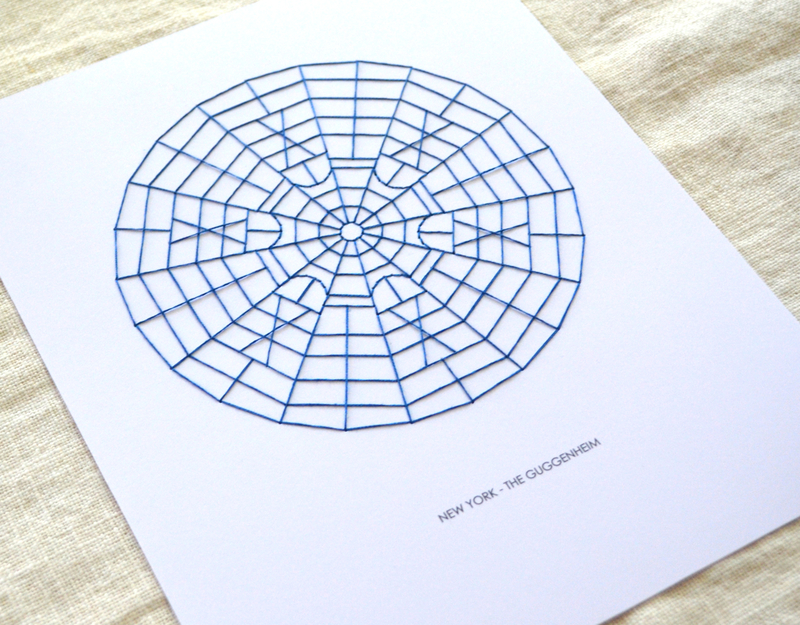 Finally, to add to the series of “circular ceilings” that I made earlier this year, I made a version for New York City featuring the glass ceiling of the Guggenheim, designed by Frank Lloyd Wright of course. I kept it monochromatic since a bright multicolored approach seemed like it would fight the design. Lots more in the works!